Developer Juggler Games and publisher IMGN.PRO announced that their latest title, My Memory of Us, will be launching on October 9th for the PC, PlayStation 4 and Xbox One. Moreover, My Memory of Us will feature world famous actor Patrick Stewart as a narrator. 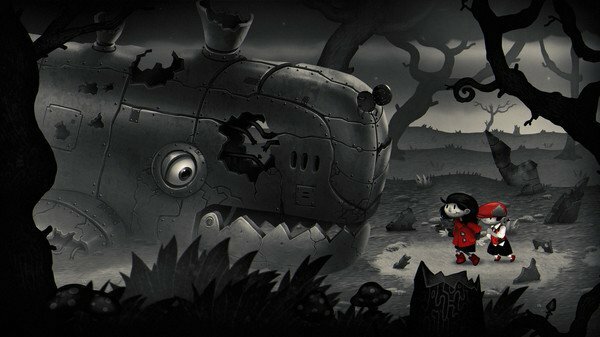 My Memory of Us is a side scrolling puzzle game with a unique and emotional story following a boy and a girl. Set before the events of World War 2, the two kids fight to stay together when Evil King and his robot soldiers invade Warsaw. My Memory of Us is based upon actual historical events and stories from war. Players will have to utilize the pair mechanics and control two characters to solve logical puzzles. While the agile girl is able to run fast, the boy is able to sneak past enemies quietly. Players will have to make use of both characters’ abilities to progress through the story. Legendary actor Patrick Stewart is famous for his roles in Star Trek and the X-Men series. This won’t be his first part in the video game industry, as he has previously recorded voice lines for The Elder Scrolls IV: Oblivion. My Memory of Us launches on October 9th and will be available for the PlayStation 4, Xbox One, and PC via Steam.